I'm glad we've been on a salad for dinner kick lately because oddly enough the lettuce in my garden is loving this crazy weather. And, this blueberry arugula salad with yogurt and dill dressing has been on repeat. 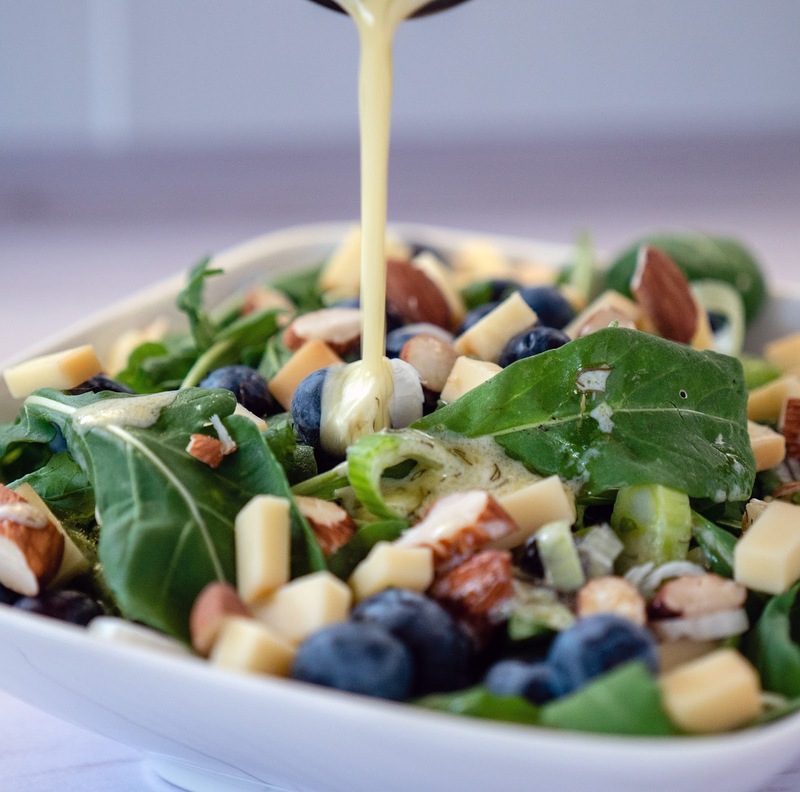 With a mix of plump blueberries and peppery arugula, crunchy almonds and smoky cheese this salad is full of flavor and texture. The yogurt dill dressing ties all the elements together with a tangy lemony pop. The blueberries at the farmers' market have been irresistibly beautiful and delicious. I cannot resist buying a pint every week until they are gone. As with most of my recipes, you can easily swap them for your favorite type of berry. You can always change up the nut and cheese too. Serve it with some grilled chicken or fish and you have the perfect summer meal. 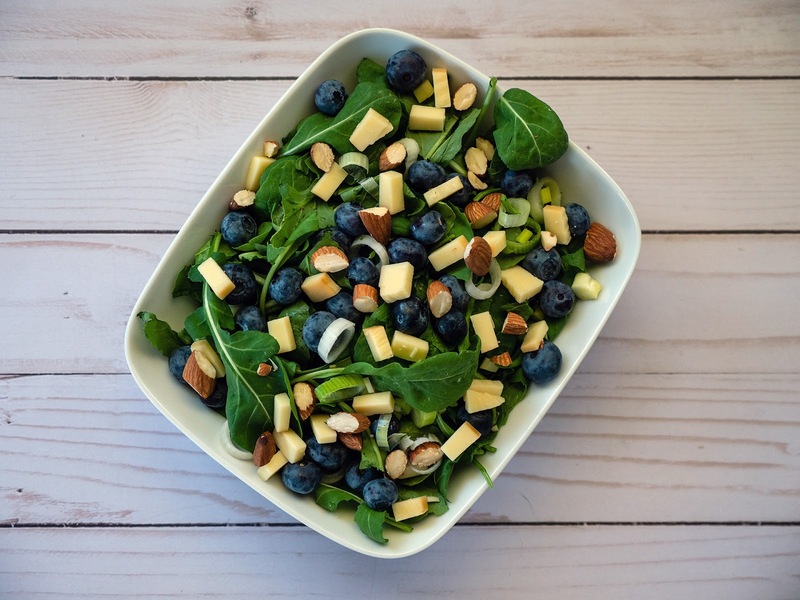 In a large bowl toss together the arugula, scallions, blueberries, and almonds. In a small bowl whisk together the yogurt, white balsamic vinegar, lemon juice, olive oil, dried dill, garlic powder, and salt. When ready to eat, drizzle dressing on the salad, toss and serve.